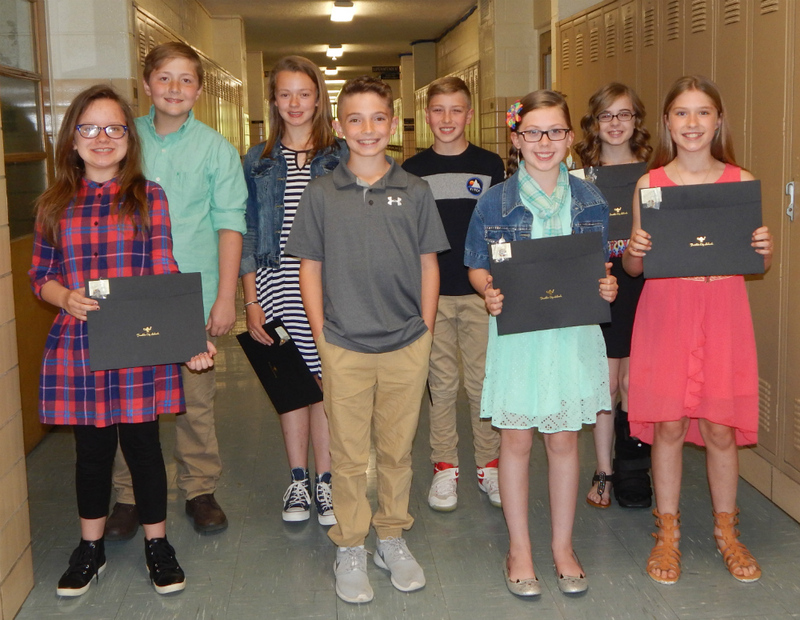 At their April 23 meeting, the Franklin Board of Education honored 8 students for Student Achievement, recognizing them for earning Straight A's for at least 10 consecutive quarters. They were, front row from left. Madeline Montez (Anthony Wayne), Trey Newsome, Emily Acrey, and Kensington Black (all from Hunter). Back row: Ben Ingram, Camille Lafferty, Jaxon Titus (all from Hunter), and Brooklyn Blanton (Gerke). Franklin established the Student Achievement Award in January 2001 to honor students who have demonstrated exceptional achievement in academics, community service, or character.